Easter will be here before we know it! We don’t do a traditional Easter basket for our children. We usually give them one gift and one or two sweet treats as part of our family’s Easter tradition. This year I thought it would be fun to change things up a bit and have something to put their goodies in. 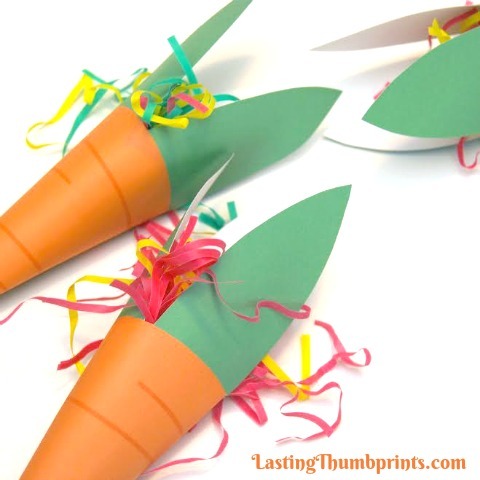 Aren’t these Easter carrot treat cones, cute?! I’m thinking I’ll hide them and have the kids do a scavenger hunt to find them. These would also make really cute goodie bags for a party. 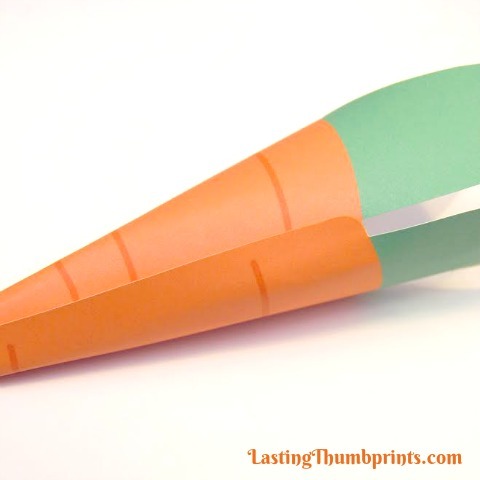 Curve the carrot around itself and adhere along the whole side so it makes a cone. 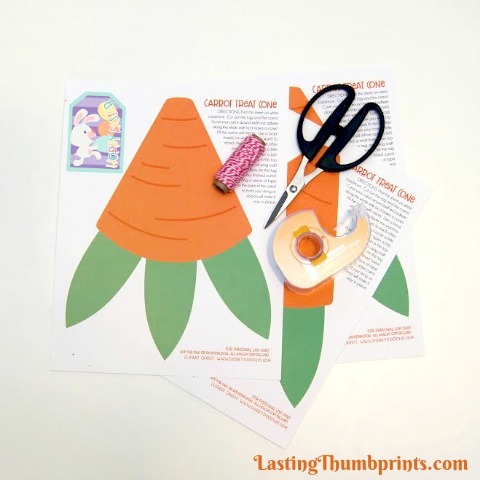 Punch a small hole in the top of your tag and using craft string or ribbon tie the tag around your finished carrot. 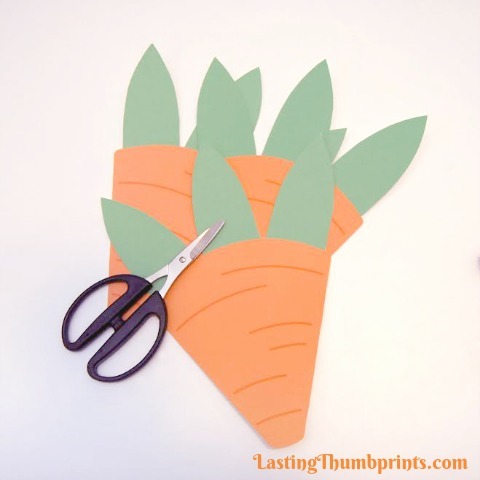 Putting a piece of tape on the back of the carrot to hold your string or ribbon will make it stay in place. 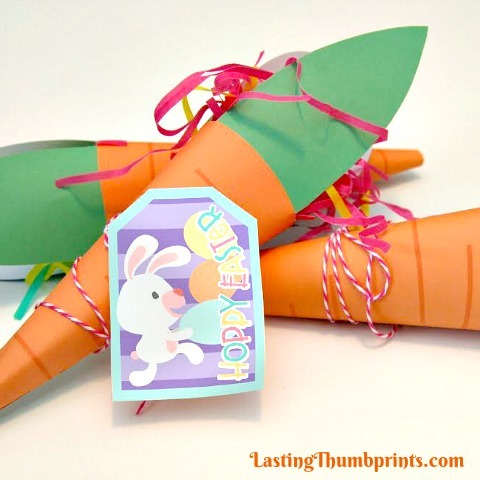 You could also print the tag on sticker paper and just stick it to the front of your carrot. 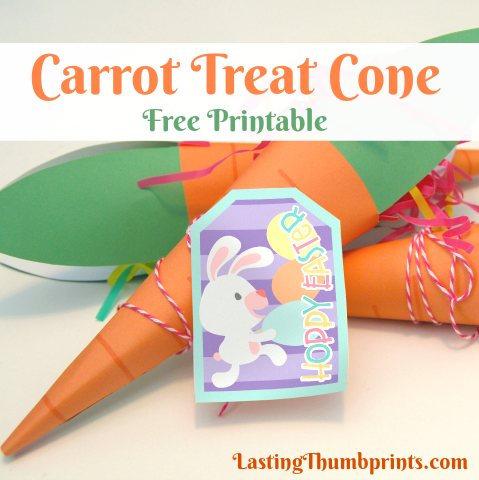 You can get this Easter carrot treat cone by entering your information below. By doing so you will be subscribing to the Lasting Thumbprint’s newsletter and get more great freebies and encouragement.